I. David Roediger's new collection of essays is the subject of a kind of symposium over at the Verso blog, with a predictable commentary on social media. I have a question. It's been gnawing at me for a while. And it is this: does David Roediger actually disagree with Ellen Meiksins Wood? To those not invested in such debates, this will sound impeccably nerdile, as indeed it is. But for those who have an interest in marxist debates, if you bear with me, the question has ramifications for our analysis of capitalism. The Harvey/Wood interpretation (see Wood's argument with Adolph Reed here for the background), he acknowledges to be the dominant interpretation among Marxists. But Roediger has sought from the beginning to question this approach, attacking the idea most directly in How Race Survived US History, and The Production of Difference, co-written with Elizabeth Esch. In the former, Roediger situates race not as incidental to US capitalism, but as a key organising principle. In the latter, Roediger & Esch survey the history of race management in US corporations, arguing that the 'production of difference' has been integral to the efficient extraction of surplus value, so that race is not separable from the 'logic of capital'. II. The question I want to raise is whether and how you think, having read this, Roediger in practice fundamentally disagrees with Wood's stance? I am not raising this question rhetorically, as though we already know the answer. The way we answer this question opens every possible can of worms. Let's recall the terms of the argument. 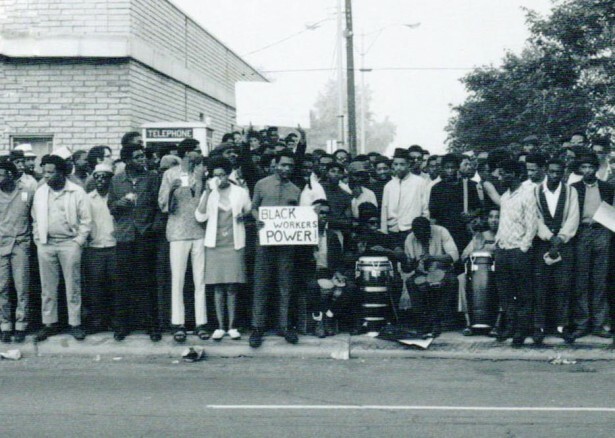 Wood contends that capitalism's relationship to ascriptive oppressions is opportunistic and selective, and that racial oppression is not constitutive of capitalism in the way that class exploitation is. In the essay in question, Woods goes on to say: "Capitalism is conceivable without racial divisions, but not, by definition, without class." It is only "for historical reasons" that race happens to be "a major 'extra-economic' mechanism of class reproduction in US capitalism". "capitalism is a system in which all economic actors, producers and appropriators, depend on the market for the most basic conditions of their self-reproduction. Class relations between producers and appropriators, and specifically the relation between capitalists and wage laborers, are also mediated by the market ... the market dependence of both appropriators and producers means that they are subject to the imperatives of competition, accumulation and increasing labour productivity; and the whole system, in which competitive production is a fundamental condition of existence, is driven by these imperatives. ... capitalism, alone among all forms of class society, is constituted by relations of exploitation that are not defined by a hierarchy of civic status. ... The relation between capital and labor is supposed to be a contractual relation between juridically free and equal individuals; and it has even become a major ideological principle of capitalism that all citizens, capitalists and workers alike, are free and equal. ... The racial hierarchy in the U.S. today is a legacy of the historical moment in which the ideology of formal freedom and equality came up against the realities of slavery and imperialism. ... Race reinforces class because it obscures relations of class exploitation in capitalism; and it can do so, in a way that non-capitalist civic hierarchies could not, precisely because civic status in capitalism does not define class. ... Harry Braverman, in his classic work on the labor-process, explains how capital subdivides labor ... Race, as an ascriptive category (as well as gender and ethnicity), has served as a means of organizing this differentiation of work and workers". Roediger's contrasting position could be distilled into the following points. First, race has been remarkably persistent throughout the history of capitalism, and the two have been more intertwined than is often acknowledged. This is a compelling fact. Second, in the actuality of history, race has not been separable from the economic logic of capital in the way that is implied. Indeed, it has been actively conducive to its efficient operation. Third, this brings into question the idea that the "laws of motion" of capitalist societies would tend, barring 'extra-economic' intervention, to homogenise labour. In fact, the production of difference is arguably essential to the capitalist labour process. It isn't immediately clear in what way these two stances are in disagreement. After all, Wood seems to acknowledge that the division of workforces and the production of difference is essential to capitalist exploitation, and that race has proved to be an apt and fitting means of doing this. The fact that capitalism needs the production of difference doesn't seem to be in conflict with the claim that class is constitutive of capitalism, while race is not, or that capitalism could outlive race. Couldn't you argue that the difference between Wood and Roediger is simply over their respective levels of concreteness, with Roediger dealing more directly with the grain of historical American capitalism, and Wood expending most of her effort on refining an analysis of the logical structure of capital? III. Except that there are a number of problems in Wood's seemingly lucid account. First of all, the question of concreteness isn't as secondary as it may seem given the way that I posed it. Theoretical abstractions about the logical structure of capitalism help us navigate the terrain of history. But unless we want the theory to die, the terrain of history has to be the ground for both testing and new theory-generation. So, the logical structure of capitalism cannot be taken as a closed subject. Even if we accept that nothing about our current abstract models of the logic of capital necessitate the concept of race, the fact of the resistant reality of race under capitalism is an important piece of evidence that invites us to look again at the theory. There remains a lot to be discovered, about the logical structure of capitalist law, capitalist politics, capitalist ideology, and of the articulation of all of these. Second, the logical structure of capitalism as Wood describes it seems surprisingly economistic. This is weird given her perfectly reasonable objections to the base-superstructure model of analysis, but the "rules for reproduction" of capitalism offered by Wood concern only the sphere of production and exchange. Pivotally, they concern "the market", and the contention that all the economic actors under capitalism "depend on the market". I think this "market" is a metaphysical conception, and that there are only markets, each variously constituted by law, politics and culture. I also wonder what would happen, with this mode of analysis, if we were to use it to try to analyse the many twentieth century capitalist economies where the state was the single biggest actor? In all formulations about the "relative separation of politics and economy" under capitalism, we have to recognise just how messy and broad a term "relative" is: the separation is, after all, an internal distinction produced by capitalist states themselves. Moreover, economic actors may depend on markets for their reproduction, but they also depend on public transport, schools, welfare offices, spouses, children, relatives, sometimes charity, and a whole range of things that aren't "the market". What is more, markets also depend on them. By all means reject base-superstructure models, but if your account of the logic of capitalism takes place only at the level of the economy and economic imperatives, then this draws the analysis back into economism. Third, Wood focuses on the concept of "civic status" as the crucial modality of race under capitalism. The term "civic status" refers to the juridical rights and entitlements to which various members of a polis have access. In Wood's work (e.g. ), the separation of civic status from class is what enables members of different classes to encounter one another as "formally free and equal" citizens. This means that capitalism doesn't need hierarchies of civic status, because workers can be exploited even if they belong to the same rank as the owners. But, obviously, civic status is not exhaustive of the forms of status distinction and oppression in a society. Equally obviously, the abolition of de jure hierarchies of civic status (slavery, segregation, imperial non-citizenship) clearly hasn't resulted in the abolition of race. The ascriptive hierarchy continues to operate through other means. Wood is right that capital does not need employees to be defined by a distinctive "civic status", but this doesn't mean it doesn't need status differentiations within the working class: a necessity implied if, as Wood says, the sub-division of labour along hierarchical lines is an essential feature of capitalism. Exactly how that works out, however, with regard to ascriptive characteristics, couldn't be resolved by looking at either the labour process (viz. production of difference) or "the market". I don't see how it could be analysed, even at the level of theoretical abstraction, without taking into account the question of the relationship between capitalism, nation-states and imperialism (I have argued about it here). In other words, the logic of capital would need a state theory, and probably a theory of ideology too. On the basis of such a theory, one might conclude -- and I genuinely raise this simply as a possibility -- that the capitalism system not only needs hierarchies in the working class, but that it needs them to have the sort of regularity, predictability and ideological legitimacy that comes with ascriptive essentialism. In other words, one could argue that, if not race, then capitalism needs race-like ascriptive hierarchies. Which, in any probable future, would likely continue to be race anyway. Richard Seymour is a writer, broadcaster and socialist based in London. He is the author of Corbyn and a founding editor of Salvage. Read and support his work directly at Patreon.